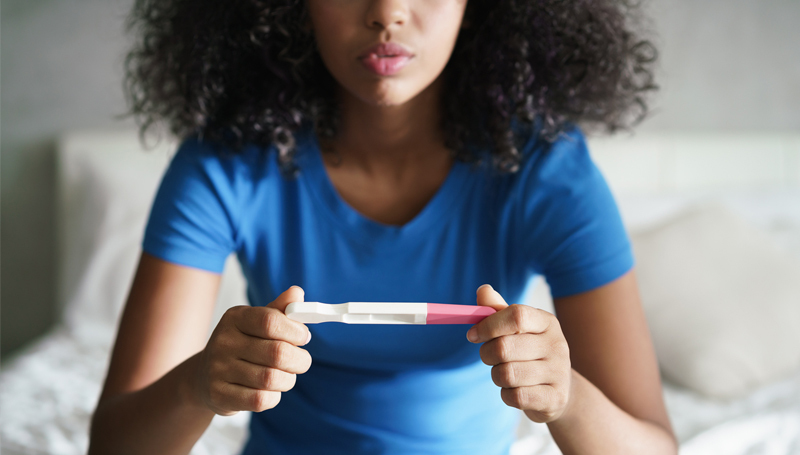 If you think you might be pregnant, you probably plan to take a home pregnancy test – or maybe you already did. Home pregnancy tests have come a long way in recent years, and when used correctly, can be quite reliable. There are, however, a variety of factors that can produce inaccurate results. Also known as false-positives, inaccurate positive test results are uncommon, but they do happen. Home pregnancy tests screen for the presence of a hormone called human Chorionic Gonadotropin (hCG) that typically exists only in pregnant women. Finding this hormone in your urine is what triggers a positive test result. In rare circumstances, hCG may be found in your body even when you’re not pregnant. If you recently had a chemical pregnancy, ectopic pregnancy or miscarriage, it’s possible there may be some residual hCG in your system. Some fertility treatments also contain hCG. Certain other medications have also been associated with false-positive pregnancy test results, including anti-anxiety medications, antipsychotics, anticonvulsants, diuretics and even antihistamines, among others. Likewise, medical conditions including urinary tract infections, kidney disease, ovarian cysts and ovarian cancer can contribute to false positives. Also known as false-negatives, inaccurate negative test results are much more common. Like most things at the drug store, home pregnancy tests come with an expiration date, after which the test is less reliable. Be sure to check the expiration date on the package before you buy it, and again before you take the test, in case there has been some time in between. If the date has passed, save yourself some undue stress, throw it out and go buy another one. Testing too early can also produce a false-negative result. A good rule of thumb is to wait until seven days after your missed period before taking a home pregnancy test. If you test earlier than that, you could be pregnant, but your body may not have built up enough hCG for the test to detect it. And, of course, many false-positives are the result of simple user-error. Taking the test when your urine is too diluted (experts suggest testing in the morning when your urine is most concentrated), checking the results before the required time has passed or misinterpreting the positive/negative result markings on the test can lead you to believe you’re not pregnant when you really are. As good as most home pregnancy tests are today, there is no substitute for a medical pregnancy test. A medical pregnancy test followed by an ultrasound can tell you with absolute certainty if you are pregnant. So, regardless of the result you get from your home pregnancy test, it’s worthwhile to get a medical pregnancy test to be sure. At Sira in Gainesville, we offer free confidential medical pregnancy testing for any woman, regardless of income or insurance. Our staff are friendly, supportive and here to help. Contact us today at 352-377-4947 to schedule your appointment.